Since 2009, Absolute Road Service, Inc. has been the premier provider of 24-hour roadside services for commercial Semi trucks and fifth-wheel vehicles in Naples, FL and the surrounding 100-mile areas. Our friendly and professional staff works hard to provide you with quality services at reasonable prices, in a timely manner to get you back on the road swiftly and safely. 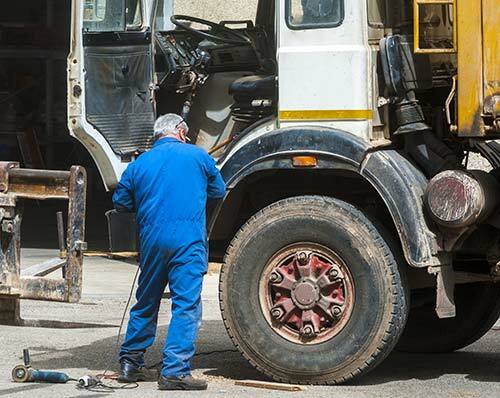 When you’re out on the road and experience an issue that leaves your Semi truck sidelined, it’s critical to have a reliable resource for mobile Semi truck repair in Naples, FL. Absolute Road Service, Inc. is just one call away, ready to come to you and provide the roadside services you need to get back on route to your destination once again. From brakes and tires to electrical and air systems, and just about anything else that might go wrong, our experts have years of professional experience in delivering the restorative fixes you need. Moreover, we have experience in all facets of semi truck repair in Naples, FL, no matter what type of rig you’re driving around in! All of our services are offered 24/7 for your convenience and peace of mind. We’re a proud, family-owned and –operated business with more than 20 years of professional experience behind us. We predominantly service commercial Semi trucks, including 26 and 28ft box trucks. Our services are available to customers within 100 miles of our location in Naples, FL. We’re always happy to offer free estimates on our services to prospective customers. If you’re sitting on the side of the road with a Semi truck that isn’t able to be driven, give us a call right away! As the premier provider of mobile repair services, we’re ready to help you get it working again. "Our Class A RV broke down on the highway between Naples and Broward Florida. We called Good Sam's and they referred us to Absolute Road Serv..."